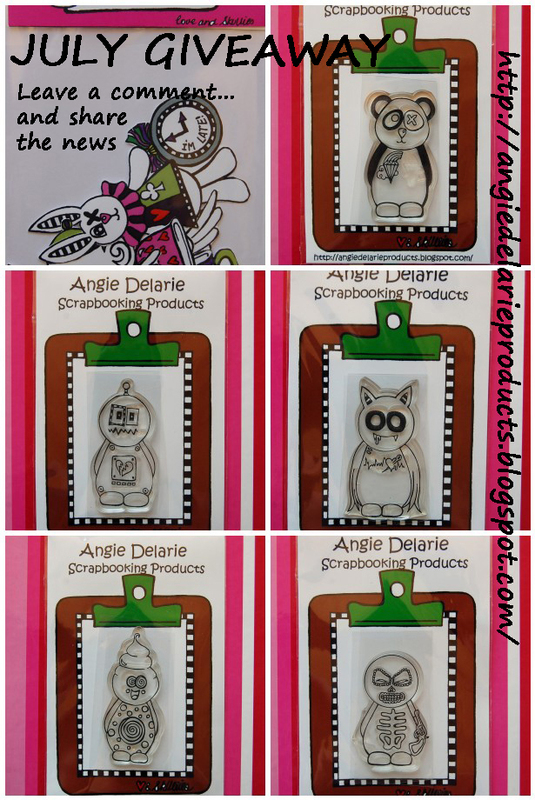 Angie Delarie: Leave a Comment and WIN the Stash! Leave a Comment and WIN the Stash! Alice in wonderland tags and a cute little character stamp that I threw in just to say thanks! To celebrate July...because this is my special month! I'm giving away 5 Acrylic stamps and Alice in wonderland tags. and please copy and paste this to your blog or facebook page. I love your stamps!! I must confess to being a wee bit ghoulish myself!! I hope you enjoy your birthday month! !